Adcanced recruitment period for the city of MINI of Wichita. Matt S is such a pleasure to buy a car from. He knew what I wanted and made it happen. He went way beyond any car dealer would. This is my second car from Walser MINI. I will keep going back. Mathew S. and the whole team at MINI went way above and beyond! They were pretty understandable of my crazy scheduling. Dedication to exceptional customer service, without being a "pushy" salesman! They have absolutely have a new big raving fan! Would highly recommend purchasing a vehicle from this location! Thank you Mathew for him and his team! I came to Walser after having a horrible experience at Eddy's Toyota. Michelle was my salesperson and she was fantastic. By far the best service I have ever received at a car dealership! She found exactly what I wanted and worked on all of the paperwork while I was out of state. When I got back into town, all I had to do was sign. It was so simple. There were absolutely no pressure sales tactics. I'll be back for my next car. Thank you, Michelle, for being a great employee and making my car buying experience better than I could have imagined! Luxury, Luxury, Luxury. This is the third time I’v bought a car from the lot and this experience was by far the most unique, pleasant and easy transaction I’v had. I’m certain I will never buy a car from anyone but Walser. They have the lowest prices in the West, I diligently compared their prices to Colorado, New Mexico, Nevada and Utah and they are on average 5k cheaper than the competition.Michelle Anderson is OUTSTANDING. Everything was done online, her replies are so quick wether it be at 8am , or 9pm . She found credits and discounts that were obscure and made sure I got the best possible price , within my budget. She is so readily available that I actually thought she was automated until I spoke and eventually met with her! I flew in from Denver to pick my car up , (although they deliver nationwide), and Michelle picked me up at the airport!!! I was floored at the lengths she went through to make me feel special and to make my life more convenient . She even texted the next morning to make sure I made it back home safely which was truly the cherry on the cake. THIS is what businesses should model their service and they are super fortunate to have her!! For a luxurious experience commensurate with the MINI brand, there’s nowhere else but MINI of Wichita. We put our customers first and tailor the entire shopping process to match their needs — just like the versatile new MINI vehicles we sell. 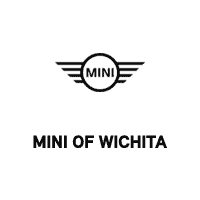 Learn more about our Wichita MINI dealership and see why so many Kansas drivers count on us for our MINI expertise. Shopping for a new MINI is always fun, fast and stress-free when you come to our MINI dealership near Salina, KS. From the new MINI Cooper Clubman to the MINI Hardtop 4 Door, there’s surely a perfect match with your name on it. Plus, we sell a variety of certified pre-owned and used MINI vehicles, and pre-owned cars from other makes, all in the name of providing you an abundance of options. Take a test-drive in a new MINI today at our dealer to see it’s the right fit. The team at MINI of Wichita specializes in everything automotive, and our MINI finance experts are excited to help get you in the driver’s seat. We can discuss MINI lease and finance options to help you better understand the market, and we’ll assist you with taking out a loan or securing a lease plan that works for you. Our MINI service center is also your source for reliable repairs close to home. Schedule a service appointment now to map out your week. From small oil changes to complex maintenance to genuine MINI parts sales, we can help with anything you need. Visit MINI of Wichita to receive the exceptional treatment you deserve. You can find us at 10950 E 13th St N, Wichita, KS, 67206, just a quick ride away for MINI enthusiasts in Hutchinson, Manhattan and Enid, OK. Come join the MINI of Wichita automotive family!